There are several versions of parentage, or maybe several different plants with same name. 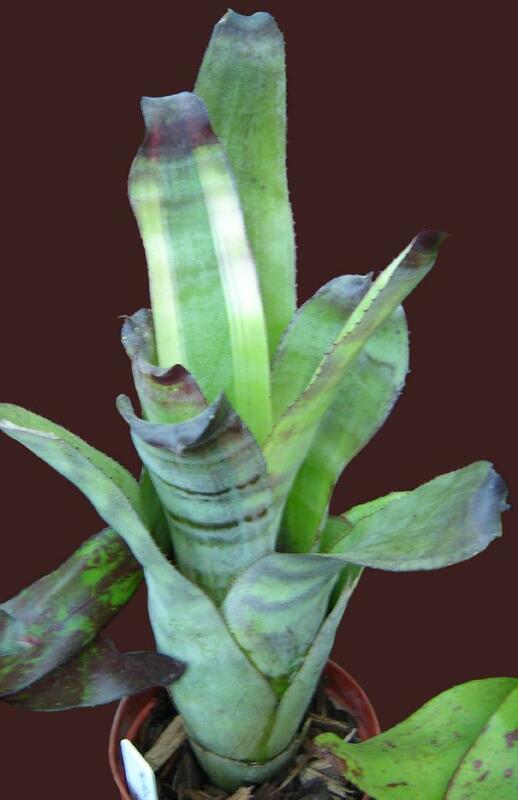 'Smokey' = Canistrum fosterianum x Aechmea chantinii by DeLeon. 'Galaxy' is a cv. of 'Smokey' selected by Bullis from tissue culture. with "Smokey" colour true to name with heavy scurfing but with NO leaf markings, and "Galaxy" matte-bluish-green with BROWN MOTTLING. FCBS also shows an albo-marginated form of Galaxy (as below).